I use LinkedIn. A lot. I have over 2500 connections. Admittedly, 500 or so are from the less glamorous times when I added anyone and everyone who wanted to be added without any discretion on my end. But most connections are actual people that I “know.” Of course, I use Facebook too, and usually more often: it’s more engaging, more personal, it’s easier to foster and strengthen relationships on Facebook. 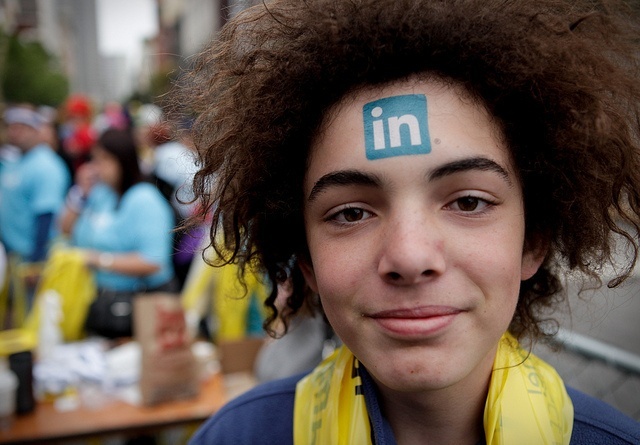 Almost everyone accepts a LinkedIn invite after just one handshake or email exchange. It’s like exchanging business cards. “Here are my contact details. Get in touch whenever (just don’t call me please, ok?). With Facebook this isn’t the case. I have the same standards for FB & LI, I accept everyone who is at least a tad relevant (go ahead - add me here), but most people are much more hesitant to accept FB invites from complete strangers. There is a lot of data on LI. Most people keep it up-to-date and LI is very smart for recommending related people (CEO on a CTO profile, etc.). Facebook is usually just a bunch of drunken photos and random chatter, or worse, people have strict privacy settings that make their profiles unsearchable (although there are hacks to go around this). So how can you “hack” LinkedIn to make the most out of this tool? This is mostly relevant for business development / sales / recruitment people where relationships are the core of what you do, but I think everyone should maintain a healthy network even if they are doing work that does not require this on day to day basis. 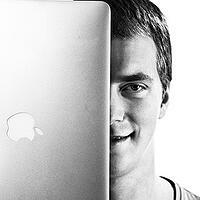 There’s a good read about this topic called Startup of You by LinkedIn Founder Reid Hoffmann. Some of these techniques are quite aggressive, but not creepy. As with any growth hack, you are pushing the envelope. You need to decide where the line in your mind. They are most effective in industries where people are keeping their profiles complete and up to date. This is true for tech/IT industry where I work, but it might not be the case in other communities. Build connections from “real life” and add everyone you meet. Period. By adding someone or accepting invitation you are not granting them access to anything that isn’t totally public. They won’t see your drunken photos or rants about your recent nightmare Ryanair experience. They see your email and a few extra fields you choose to show them. It’s safe. Use CardMunch to scan and connect to everyone that gave you a card. If it’s not possible to exchange cards for some reason at the end of the conversation, ask something like “so, are you on LinkedIn?” and hand them your phone with the Linkedin app open and ask them to look themselves up. When they do, just click connect. Build “virtual” connections. This is a bit more controversial. Some people won’t add or accept invites from people they never met. I find it very odd. I work with people I’ve never met in-person all the time (via remote work). Why is a conversation in TechCrunch comments or a quick email exchange any different or worse than a real-life, 2 minute chat at a LeWeb conference? Add people you stumble upon online during work or casual exchanges (comment threads, twitter conversations, etc.). Add everyone who “viewed your profile.” Compare it to having someone come up to you on a conference and saying “soooo… what do you do?” They were checking you out! They found something interesting AND they have their privacy settings set to let YOU know about it. I think it’s fair :). Oh, and LinkedIn makes it easy for you. You don’t have to know their email address to do this, just click to connect. Use the fact that other people sometimes do as above. If there is a community you want to get to know: search for relevant people and just open their profiles. Do it for 10 people or do it for 200. Some will invite you, some will go and see your profile, and when they do, repeat the step above! If you are feeling very active, try this: every time someone adds you or accepts an invitation send a quick message. For example, “thanks for connecting, let me know if there is anything I can do to help.” This is especially important if they are relevant to your goals and you actually would like to connect with them (LI connections are cheap). If they respond, perhaps try to schedule a quick Skype call. Use LinkedIn to give back. Connect people. Either when they ask for it or even proactively. Find ways to help and people will find ways to help you. It’s not karma, it’s just serendipity. At the end of the day "You’re Not So Smart, You Just Show Up a Lot” - and you don’t even have to show up physically! Online presence is just as good :).